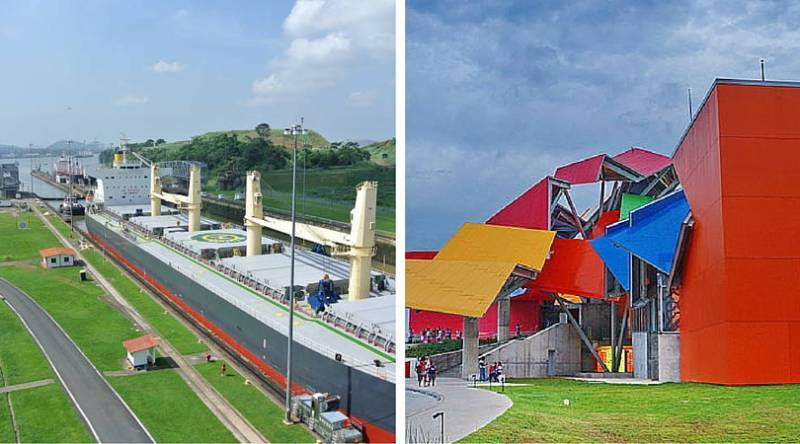 The Panama Canal authority and the Biomuseo has announced a new combo package that will allow tourists to visit both museums with a single ticket. The newly opened Biomuseo, designed by world-renowned architect Frank Gehry, features eight galleries focussing on the origin of the Panamanian isthmus and its impact on the planet’s biodiversity. It’s definitely something you should see in Panama but it comes with a hefty entrance fee of $22 for tourists. The Panama Canal is also a must-see attraction in Panama and the Miraflores Visitor Center features a great interactive museum and viewing deck where tourists can actually watch the locks in action as large cargo and cruise ships pass through the Miraflores Locks. However, this is also a bit pricey and costs $15 for tourists to enter. The newly announced combo package will allow tourists to visit both sites for only $25! This offers a significant savings in entrance fees and will give people the opportunity to affordably see both places. Tourists can purchase the combo tickets at either the Miraflores Visitor Center and Biomuseo ticket counters.